When an insurer denies a valid claim it is known as bad faith insurance. Insurance companies have been known to sacrifice doing what is right in the name of profits. Unfortunately for the people they insure, this can mean denying payment for claims, even when those claims are made by honest injury victims. An insurance policy is a contract between the insurer and the insured. When the insured lives up to their end by paying premiums, and the insured denies valid claims, they have broken that contract. Bad faith insurance is a form of insurance fraud. If you believe you are being victimized by an insurance company, contact a Riverside insurance bad faith lawyers at Aitken * Aitken * Cohn. Bad faith litigation allows people that are wronged by insurance companies to recover compensation from the insurers through a lawsuit. Bad faith litigation can protect your rights when you have been wronged by an insurance company. Insurance companies have teams of lawyers who will fight any lawsuit. You will need an aggressive and skilled attorney on your side that will stand up to the challenge. 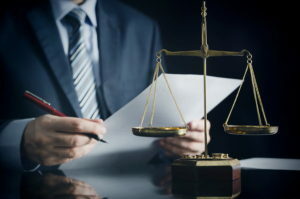 To schedule an evaluation with an experienced Riverside insurance bad faith attorney, contact Aitken * Aitken * Cohn today.